TCSS is proud to honor our bus drivers. Recently, we recognized National School Bus Safety Week. Long Cane Elementary school 5th grader, Caitlyn Morris won 3rd place in the state-wide school bus safety poster contest. Here, Victoria Martin shares why she loves driving for TCSS. The school system employs 200 transportation employees; including bus drivers, monitors, maintenance shop personnel, and administration. These employees run 125 routes throughout the county and transport roughly 8,000 students and over 2.2 million miles per school year. 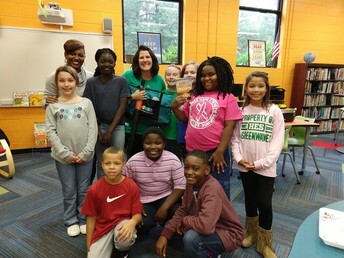 Once a week April Sandford, Media Specialist at Hogansville Elementary, welcomes a group of 6-10 fourth grade students around movable desks so they can read and discuss their chosen book. The group is called ‘The Lunch Bunch’ because they bring lunch to the book club sessions that are held in the media center. Sandford has been hosting the club for the past four years. “When a fire alarm is activated in your building, what is the protocol? 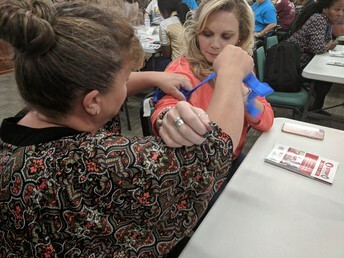 Do all the students jump up and run outside or do they wait for an all clear from administrators before being escorted out of the building?” That was the question Lt. Eric Lohr with the LaGrange Police Department (LPD) asked over 45 Troup County School System (TCSS) employees at a recent Safety Table Top Exercise. 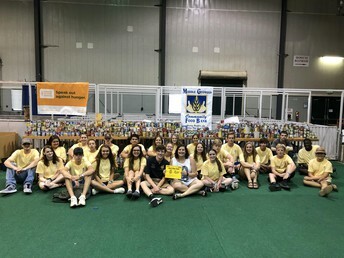 Through donations, the LHS Future Farmers of America (FFA) chapter took 703 pounds of canned goods for the Feeding America Campaign. This was the largest amount of any chapter. 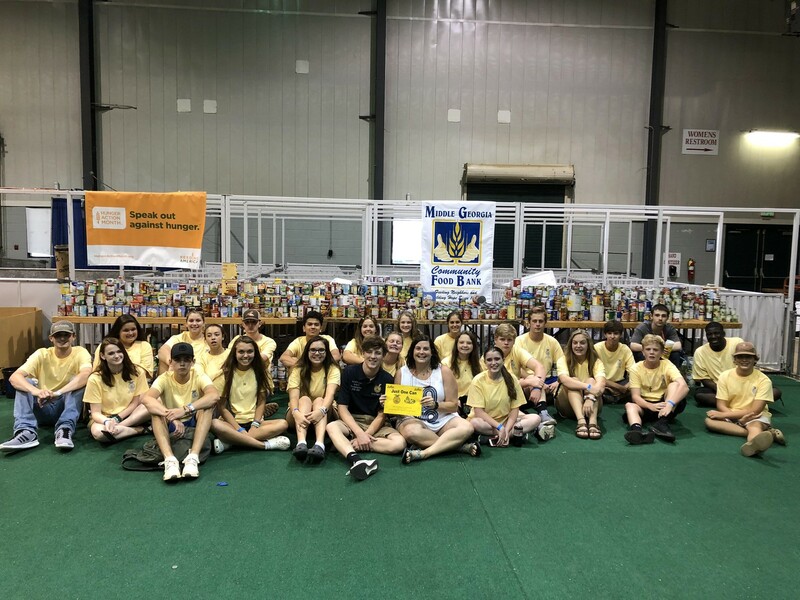 The 703 pounds of canned goods will feed an average of 586 people. For their winnings, they received a $1,000 scholarship designated for a FFA member to attend the National FFA Washington Leadership Conference in Washington D.C. next summer. TCSS estimates 12,500 meals are served daily, with an average 4,150 breakfasts and 7,200 lunches served.